PBCW is a great venture celebrated twice every year. This event provides a great opportunity for domestic designers to promotes their work through social media other than their websites. This show is viewed over thirty countries including Pakistan making it a global platform where people across the globe can easily come to know latest trends in Pakistan and can boost the sales of this sector. 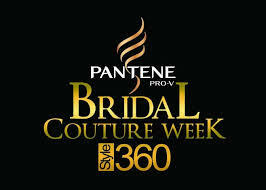 Last week Pantene bridal couture week was celebrated at Expo Center in Karachi. Myriads of veterans and new talented designers all across the Pakistan and overseas as well participated in this glitzy event. Participants includes the most appreciated HSY, Zaheer Abbas, Deepak Parwani, Mona Imran, Zainab Chottani, Nadia Chottani, Mifrah, Asifa and Nabeel, Tabassum Mughal, Arsalan Iqbal, Nadaa Saleem, Ruby Shakeel and others. 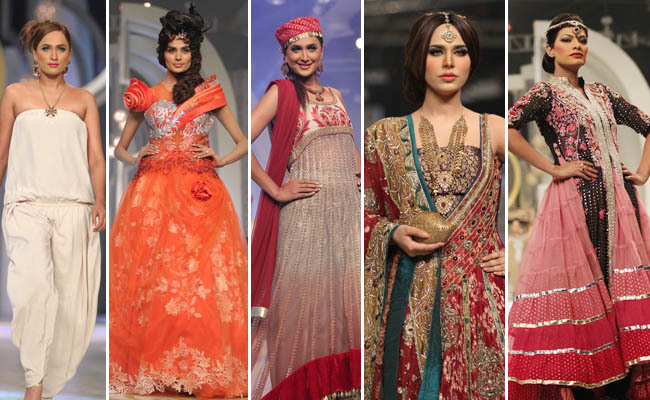 Other than these designers many guest celebrates were also a part of this event. 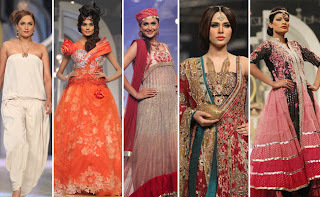 Ayesha Omer, Humaima Malik, Wasim Akram and Zeba Bakhtiar were the sultry show stoppers. Surprise song and dance numbers were featured for the audience by BodyBeat Productions. First day the audience was amused by the lively performance of Mohib Mirza and Aamina Sheikh, second day audience enjoyed a couple of soulful numbers by Fuzon band and while day three featured a great song and dance number by Anoushay Ashraf, Kiran Khan, Sarwat Gillani, Javed Sheikh, Komal Rizvi, Hassan Rizvi , Suhai and Tipu. Event was well managed, beautifully decorated lounge,fully red carpeted, white umbrella’s hanging all over the roof, flower décor, decent music and proper lighting. Choreography was done by HSY which is a renown able name in the field. 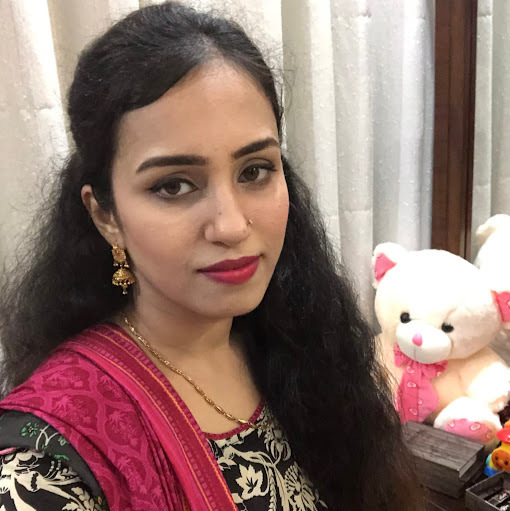 Makeup through out the event was of noteworthy praise. First and last day makeup was done by Saba Ansari where as Laiqa Hassan took care of makeup on second day. The whole event was a pretty good blend of marvelous designs, excellent choreography and makeup that drag the event to the edge. 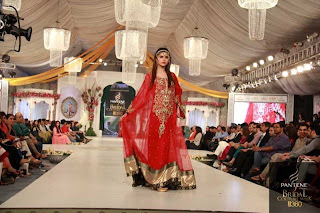 The whole event was carried out by HUM TV ltd.